Most ridiculous headlight designs you've seen? 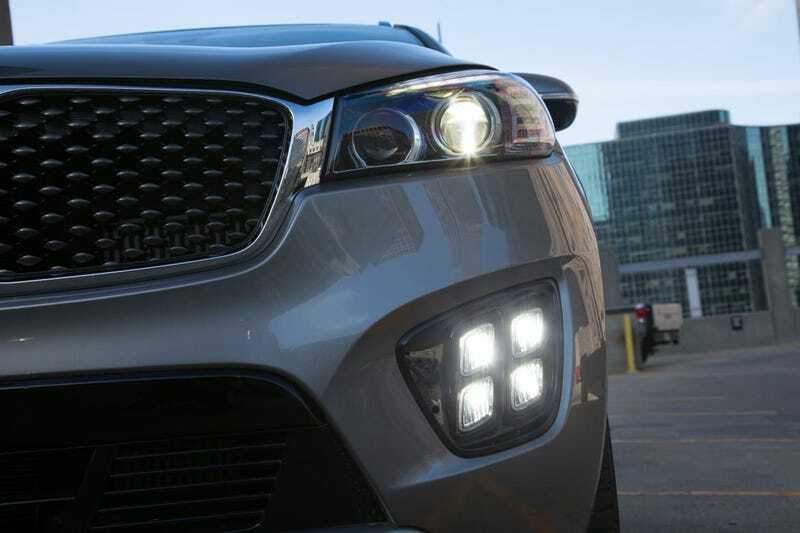 Pic from google, subject courtesy of the Kia Sorrento tailgating me this morning. Can anyone thing of a more ridiculous looking (factory) headlight setup? This one has a whacky running light (or part of the headlight?) that looks like an eyebrow above the low beam, and some ridiculous quadruple fog lights down below.